1. A professional crew can take the hard work of sailing out of your hands. It is easy to underestimate just how much work is involved with sailing a yacht if you do not have a lot of experience with it. Not only do you need to steer the boat, but you need to keep the deck clean and tidy, prepare meals, clean up afterward, take care of other housekeeping tasks, and dock at marinas. There may also be situations where you need to make repairs on the boat, sometimes on the go. Trying to take care of all of these tasks on your own is a lot of work. Even with a skipper onboard, you will still end up with plenty of chores falling into your lap. With a full professional crew on the other hand, there are professionals who can handle just about everything. 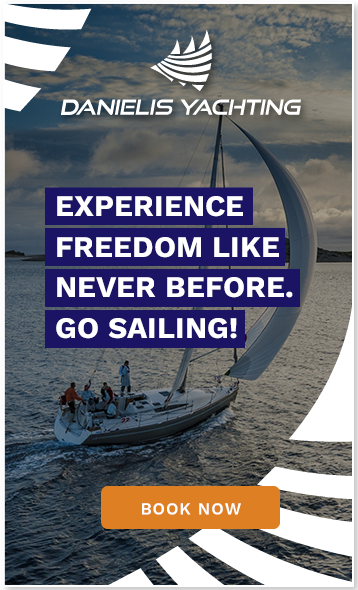 That takes the stress out of sailing so that you can relax and have a good time! 2. You can learn a great deal from the crew about sailing. If that is the case, you actually cannot do better than a fully crewed yacht! There is something you can learn from every crew member onboard. Just because you have them onboard does not mean that you cannot participate in the day-to-day operations of crewing the vessel. You may actually learn more this way than you would if you were sailing with only a skipper—or trying to do it all on your own. 3. You can enjoy amazing personalized cuisine served to you on your vessel each day by a talented chef or host. With a full crew, you will probably have a chef, a host, or both. In cases where there is no chef, the host or hostess typically takes over galley duties. This means that you do not need to spend time down in the galley cooking! You can stay out on deck enjoying the soft Adriatic breezes, the sunlight, and the warm and clear waters. Meanwhile, the chef will personalize the menu to fit your tastes and dietary needs. You get to enjoy the best of gourmet Croatian cuisine right onboard your boat, even if you are nowhere near shore! 4. Since you do not need to take care of all the sailing tasks yourself, you can enjoy other water-based activities. There is so much you can do on a Croatia-crewed sailing charter besides sail. Enjoy fishing? The Croatian coastline is famous for its seafood, and there is nothing like fresh-caught fish prepared by your charter chef. Want to snorkel or scuba dive? Your crew knows the locations of all the best reefs and dive sites. You can also try water-skiing, paddle-boarding, kayaking, or just splashing around in the most beautiful turquoise waters you are ever going to see. If you are traveling with children, a crew is an excellent choice, because it frees up more time for you to watch your kids and make sure they are having a good time and staying safe. You will also enjoy the peace of mind that comes with knowing crew members are looking out for your kids as well. 5. 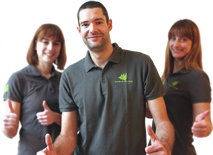 The crew can help you to plan your itinerary. Planning your itinerary on your own can be fun, but with a full crew, it is even better because the crew can give you recommendations. Like the cuisine prepared by your chef, the itinerary recommendations served up by the crew will all be personalized to your interests. Whether you want to sightsee, shop, dine, do outdoor activities or explore the historical landmarks along the coast, your crew can help you get the most out of your vacation. Have a last-minute change in mind? Your crew can adjust your Croatia sailing tour as needed to accommodate your new itinerary. Try making changes like that on your own and you will discover it is quite a challenge. But since your crew are experts in all the routes, landmarks, marinas, parks and beaches, and they can re-route your voyage on the fly to take you where you want to be. 6. Rates are typically simplified. While it costs more to travel with a full crew, the rates are usually all-inclusive. That means that the cost of the charter, crew services, meals, water toys, fuel, and even taxes and fees are generally consolidated into one charge. While a few costs are not included (like premium alcoholic beverages), there should be no surprises. 7. There is no safer way to sail in the Adriatic. Finally, one more important reason to consider a full crew is to make sure that you stay safe on your sailing cruise in Croatia. While the Adriatic is usually smooth and tranquil, storms can be intense. A full crew can navigate you around dangerous weather systems, and if something does go awry, you will have a vessel full of professionals working to steer you back to safety as quickly as possible. Is a fully crewed Croatia charter catamaran right for everyone? Not necessarily; there are times when a skippered boat or even a bareboat cruise does make more sense. 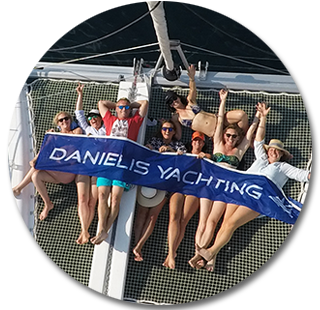 But for vacationers, particularly those travelling with children, a full crew typically offers the most comfortable and enjoyable charter experience!